Dr. Catherine Goodstein received her B.A. from Stanford University, graduating with honors. She obtained her M.D. from New York University, where she was awarded the Best Medical Student in Obstetrics and Gynecology. She completed her Ob/Gyn residency at the Mount Sinai Hospital where she received the award for the Best Resident Research project. Board certified by the American College of Obstetrics and Gynecology, she has been in practice since 2000. Dr. Goodstein works with a broad range of patients, from adolescents through post-menopausal women, and has developed an expertise in the management of abnormal pap smears, family planning, and irregular bleeding. She has cultivated a following of patients who appreciate her ability to connect with them in a down-to-earth, yet informed manner. Dr. Goodstein enjoys all aspects of her work, from a young patient's first ever gynecologic visit to the honor of helping a woman through pregnancy, childbirth, and beyond. She has delivered countless numbers of babies, but gets as excited for each delivery as she did for her first. She truly loves spending time to get to know her patients as individuals, and believes that a doctor-patient relationship built on discretion and respect creates a sense of trust that strengthens the quality of care. 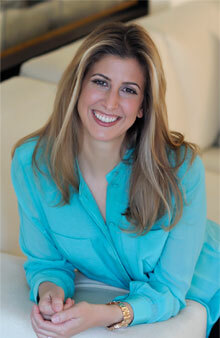 Dr. Goodstein is married and lives in NYC with her husband and two children. She serves on the board of the Horace Mann School, where her children attend.